Grow a Reader this Summer! Have you already started mapping out your summer plans? If you have kids who haven’t learned to read yet, consider using this summer to teach them! 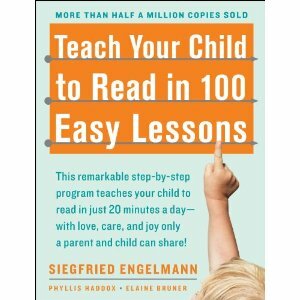 All you need is a few minutes every day and this fabulous book, Teach Your Child to Read in 100 Easy Lessons by Siegfried Engelmann. In approximately the duration of your child’s summer vacation, you can teach them one of life’s most valuable – and fun – skills! 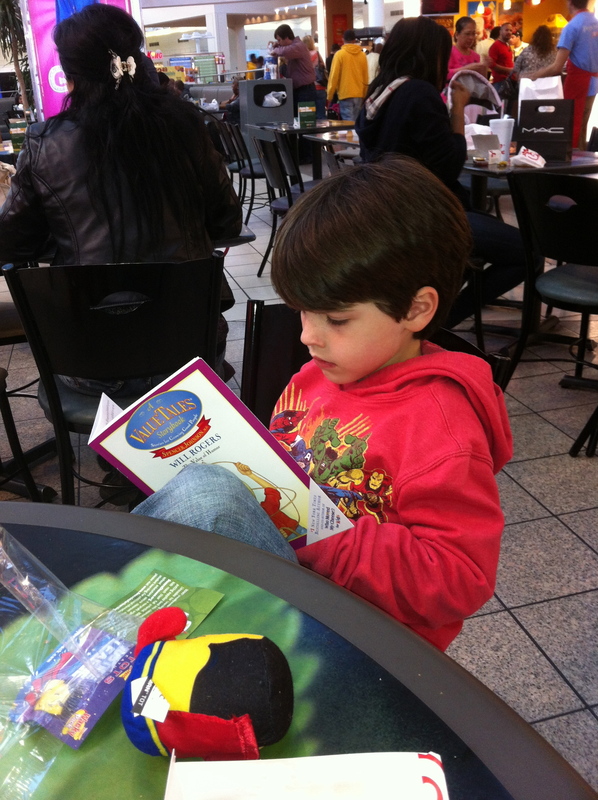 When my son (now 6 ½) was 3 ½, I wanted to start teaching him how to read. He knew most of his letter sounds, and he would sit still for any length of story I would read him. It seemed like the right time to get going. But where to start? I didn’t know the first thing about how to approach it. At the recommendation of some moms I know, I bought the book mentioned above. It’s a very specific method of teaching reading to children. (The book states that it’s designed for 4- or 5-year-olds, but can also be taught to bright 3 ½-year-olds.) Its huge size seems a bit daunting at first, but the layout is very easy to follow. Just do one lesson a day (or every other day, whatever your child can handle and your schedule allows). Each lesson is presented with exact instructions, down to a teaching script so you know what to say with each task. Every lesson includes writing practice, and the whole thing only takes about 10-20 minutes to complete. By the time you reach lesson 50, your child will be reading an entire paragraph! This amazing book completely takes the guesswork out of this process. One thing you MUST do before you start teaching your child with this book: read the parent instructions. It is imperative that you have an understanding of how the lessons work before you begin teaching, or you will stumble around and lose your child’s interest – which we all know is the kiss of death! An added way to make the lessons fun (and to incorporate a bit of math, too) is to make a chart of squares numbered 1-100. Each time your child finishes a lesson, they can put a sticker or a stamp in the square for the lesson they completed. Once they’re done with all 100, they earn a prize. Or you can give them a prize after every row of 10 – whatever works for you! My son reads extremely well now. He’s become a real lover of books, and can read anything we throw at him. Knowing how to read has given him independence and confidence to start him on a path to success in school, which is something that will serve him well for the rest of his life! I’m now using my well-worn copy of the book, with its many wrinkled pages and a taped-up cover, to instruct my 4 ½-year-old daughter. She’s coming along great! If you’ve never taught someone the skill of reading, you’re in for quite an experience. It’s tedious, frustrating, and sometimes seems impossible, but the end result is an accomplishment that both you and your little one will cherish. Summer vacation is a perfect time to do it! I hope this has inspired some of you to stop your busy lives and read to your kids. And Lisa made a great comment – reading is a modeled behavior, too. Take some time for yourself and crack open a book! You’ll be glad you did. Reading is one of my favorite pastimes. 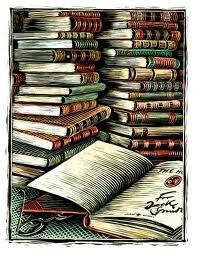 I was an avid reader as a child, and my love of books has continued into adulthood. In addition to reading for fun (Harry Potter and Twilight, anyone? ), I belong to a book club, which has given me the immense pleasure of discovering new books while discussing interesting ideas with some really smart women. When I became a parent, reading to my kids was very important to me. It makes children smarter, it stimulates their imaginations, and it provides some great bonding time. I started reading to both my children when they were too young to even see the books clearly. Even as infants, I brought them to story time at the library on a regular basis. I’ve heard that parents should read to their kids at least 20 minutes every day. 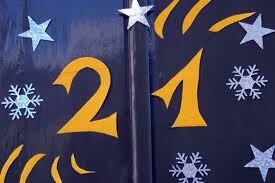 I used to scoff at that – we could easily do 20 minutes in one sitting! In a whole day we always topped that. At any given time, we usually have about 30 books checked out from the library! But lately, we’ve become so busy with other responsibilities (or rather, I’ve become so busy) that on most days, we don’t make even that 20-minute mark. I remember a couple days last week when we got into bed after endless activities, without having cracked a single book all day. While I don’t want to beat myself up over that, I know I can do better. This week, I’m going to make reading to my children a top priority. My son can read, so I’m going to make sure that he’s getting daily reading practice as well. Neither one of my kids is in school, so that gives us plenty of time each day for reading. And, as usual, we’re well-stocked with a huge stack of library books. Happy reading week, everyone – sit down with your kids (or just yourself) and read!! April 30 marks a special day in the lives of children. It is a day to celebrate children and the joy of reading! Come join the fun at the Fort Worth Museum of Science and History! Pick up a coupon for $1 Child Exhibit Admission for Day of the Child at Fort Worth community centers and the following Fort Worth Public Library locations: downtown, Diamond Hill/Jarvis, Northside and Seminary. What a fun way to practice reading! On Saturday, April 9, from 10:30 am to noon, kids can come to the Central Branch of the Arlington Public Library and read to a trained R.E.A.D. dog (Reading Education Assistance Dog). Several teams of these trained dogs and their owners will be at the library. 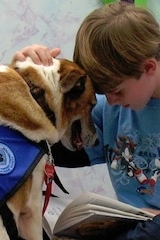 Every child who reads will get 15 minutes of a dog’s undivided attention. Books will be provided. The Central Branch is located at 101 E. Abram Street in downtown Arlington. Pre-registration is required. Click here to register online. Every Wednesday at 12:00, come to The Yoga Project in Arlington for a FREE Kids’ Story Time! Story times will alternate between the north location (2745 North Collins Street, Suite 109) and the south location (7807 South Cooper Street, Suite 107) – south location on Wednesday, March 30, north location on Wednesday, April 6, etc. All pre-school age kiddos and their grown-ups are welcome for the FREE story time yoga class. This is no regular story time … with a new theme every week, we use our imaginations and and playful minds to journey through stories. In addition to story time, we do a little yoga, dancing, and playing. For more information, check out www.theyogaproject.net. Are you a book lover? Come to the Meadowbrook Recreation Center in Arlington (1400 Dugan Street) for the Friends of Arlington Public Library Book Sale. Over 60,000 items will be offered, including fiction, non-fiction, children’s books, collector’s items, videos, audiobooks, and paperbacks. Only cash or checks are accepted – no credit cards. Proceeds benefit the Arlington Public Library. For more information, visit www.fapl.org. On Saturday, March 19, come to a Barnes & Noble near you for a special story time with Eric Carle’s The Very Hungry Caterpillar.